– EC Cape Town is perfectly located, nestled between the view of the magnificent Table Mountain and the Famous Waterfront, the views are spectacular and gives students the “push”to learn more about our beautiful country. Our classes are also intimate and teachers love taking students to see historic sights in Cape Town, a total must experience!! – Here at EC Cape Town we have a weekly guide of activities, ensuring that students get to see and experience everything that Cape Town has to offer. We offer exclusive activities from Sunsets on Table Mountain to a Wildlife experience on awesome Safari trips. It is so easy to join in on the fun, simply speak to our Activities coordinator and the rest is “history”. – As mentioned above our teachers love including Cape Town’s historical point of view into their lessons, and what better way of doing this than taking their classes on a field trip, showing them a few of our stalls and shops along the way. With beautiful and unique items, Green Market Square is best known for the perfect place to purchase extravagant souvenirs. So while learning English, why not “kill two birds with one stone” and purchase a Proudly South African item to take back home for your friends and family. 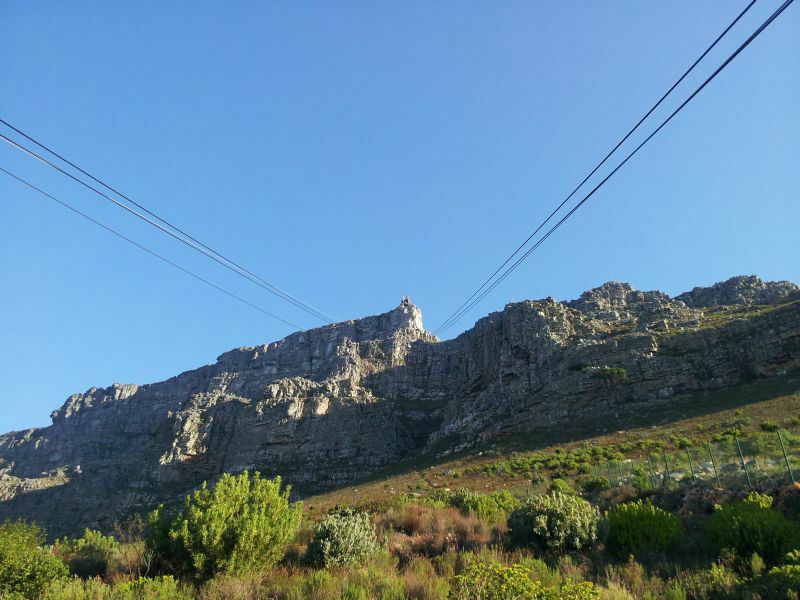 – One of our exclusive activities has to be the famous and most loved Table Mountain! Not only are the views from the classrooms a clear indication of why this Mountain is so special, but we also have activities surrounding the big Mountain shaped like a Table. With the opportunities ranging from hiking up Table Mountain to watching the sunset from Table Mountain via Cable car, this has to be one of the most important reasons why Cape Town is the most beautiful City to learn English. -Beach volley ball, Robben Island trips, Braai’s, Outdoor markets are just a few to mention the fun summer things to do whilst studying at EC Cape Town. A few more would have to be sightseeing, Kirstenbosch Botanical Gardens, of which also has quite a few live bands performing during the summer fun and walking through the V&A Waterfront. Have some fun in the sun at EC Cape Town. – Experience the African culture at our exclusive EC Cape Town social events, we open up the minds of our students showing them our heritage through theses events by having a live show of Cultural dances, having students taste the exquisite foods South Africa has to offer and encouraging them to learn about the history of Cape Town. Best of all the social events are 100% free of charge! Exciting and fun for all! Don’t forget to share your #ecexperience with us on our Facebook page, we would love to see all of your fun memories you have gathered thus far! !